Just East of Beach Road, at 900 Ocean Drive in Juno Beach, FL., you can find Juno by the Sea North Surf. This beachside condominium community is a paradise to those who want to wake up each morning with an unobstructed view of the ocean and a front row seat to beautiful sunrises. Juno by the Sea Surf is one of the three condominium communities situated in the heart of Juno. It features 48 condominium units offering 2 to 3 bedrooms and about 1,200 to 1,600 square feet of living space. Individual units come with walk-in closets, crown moldings and screened balconies overlooking the stunning blue waters of the Atlantic. This magnificent location has its own clubhouse, a large heated community pool and ample basement parking. Residents at Juno by the Beach Surf also enjoy world class golf, spas, shopping and dining at their fingertips in nearby Palm Beach Gardens. 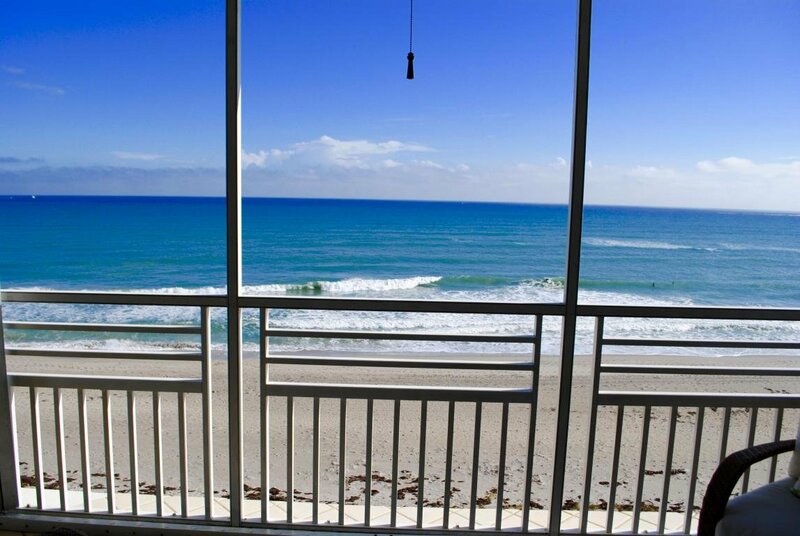 Stunning Ocean View condo with direct beach access. Updated Kitchen and Baths. Plantation Shutters. Tile throughout along with A/C bonus space. This unit is close to stair well and elevators. Clean and neat. This unit is a must see.